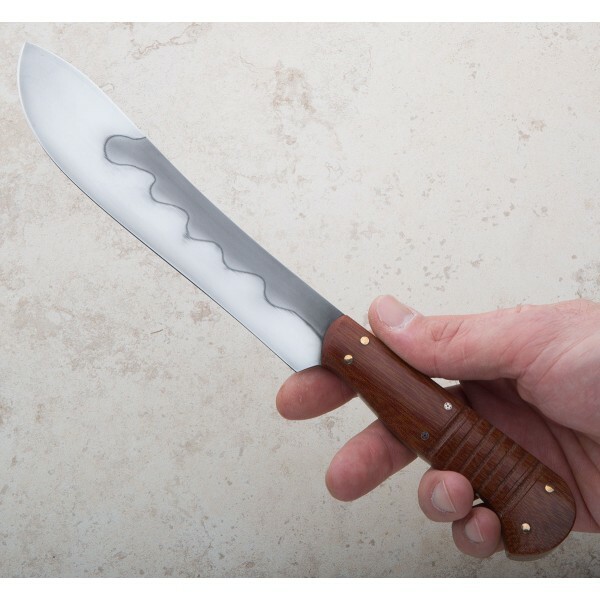 Inspired by the scaled down butcher knives of the mid-20th century which made in-home butchery easier than ever, Don Carlos Andrade has created his version of that rarely-seen yet incredibly capable tool for the modern cook. 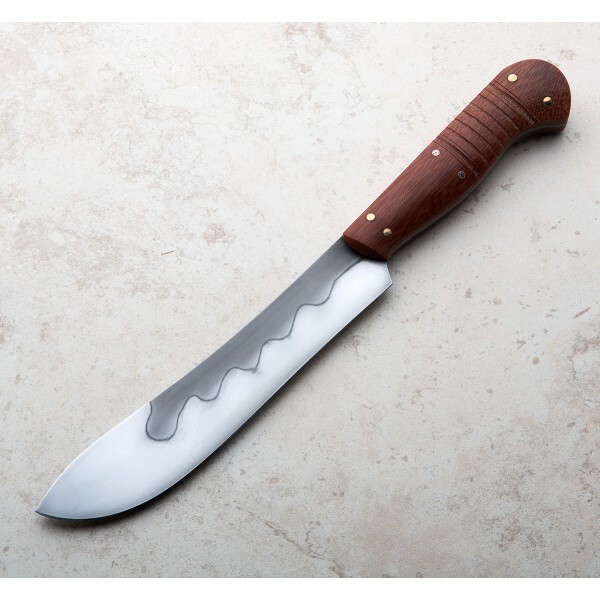 At 175mm / 6.89" long, the profile of the 1095 carbon steel blade with etched and polished finish is nearly identical to that of larger commercial butcher knives, perfect for breaking down proteins in smaller kitchens. 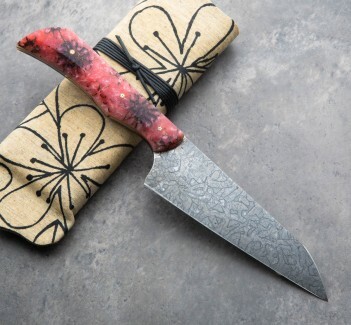 Dressed in vintage, cross-cut Westinghouse micarta with detailed carving and mosaic and peened bronze pins, this is a superb culinary tool in every way. Included is a cloth-covered protective case. 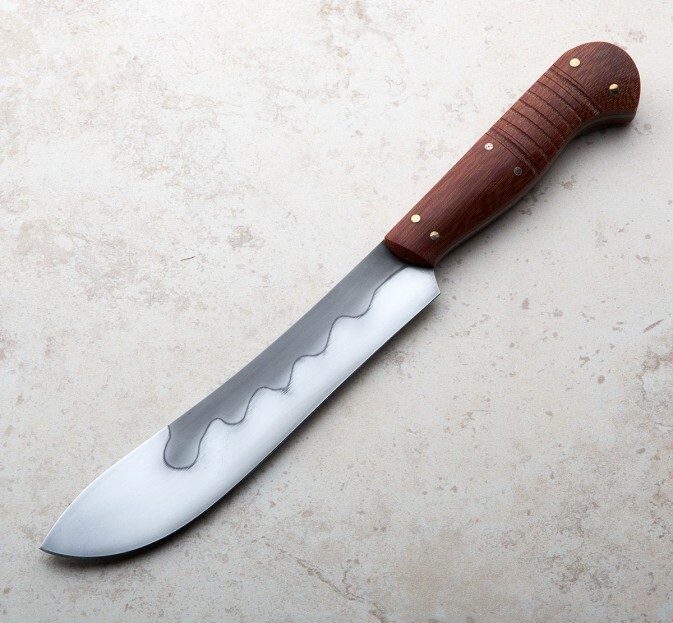 Don Carlos Andrade's extraordinary eye for beautiful and timeless design coupled with his more than two decades of experience carving, forging and bladesmithing, results in stunning tools like this butcher knife. 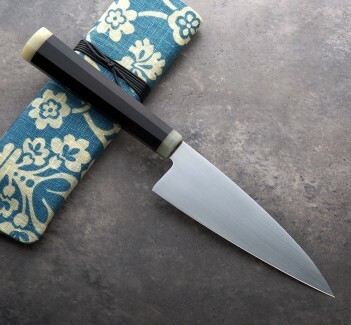 Made for professional and home chefs alike, Don's heirloom quality tools are made with love and an attention to detail not often seen, each knife a work of art from a world-class artisan. Blade length: 175mm / 6.89".  Overall length: 300mm / 11.8". Blade width at choil: 2.9mm. Blade wiidth 1" from tip: 2.9mm. Blade height at tallest point: 34mm. Weight: 7.2oz / 206g. 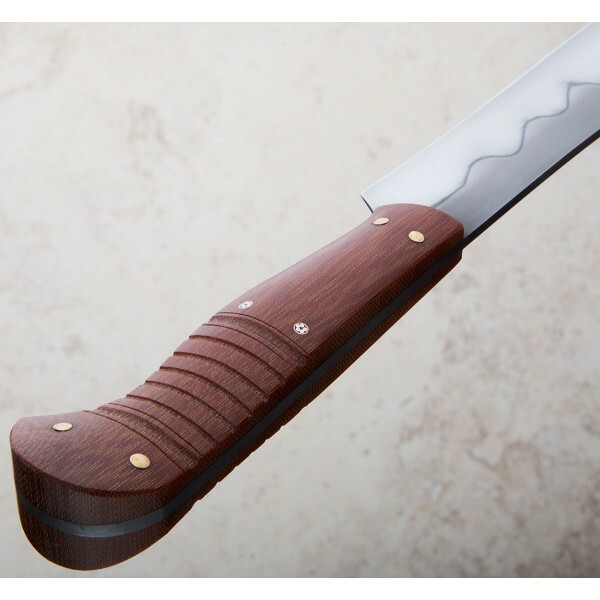 Blade: 1095 carbon steel with etched, polished finish. 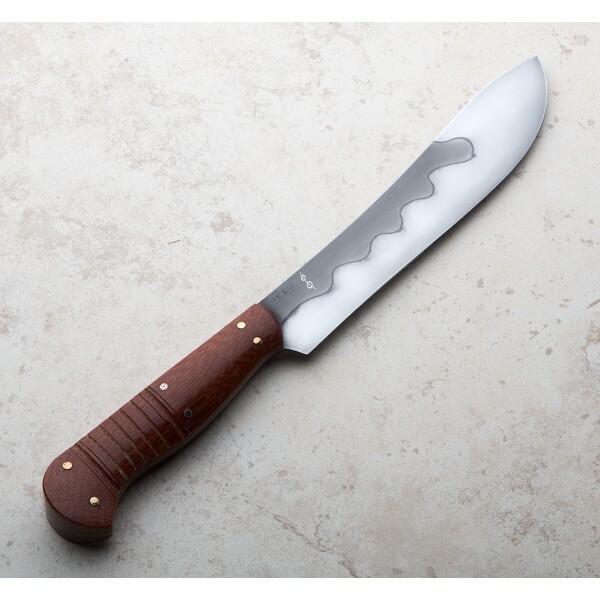 Handle: Cross-cut Westinghouse Micarta with detail carving, two mosaic pins and peened bronze pins.